If you love hunting, hiking, camping, or just showing off a cool-looking knife, you may not think about the power of a good blade in the humdrum home kitchen. But what if you could feel like an explorer in your own home? How can kitchen knives benefit a hunter and camp cook? 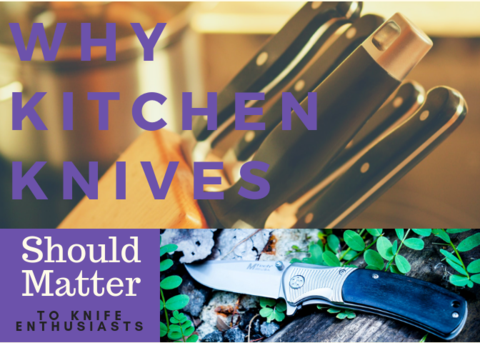 There's a difference when it comes to knives being used in the kitchen and knives used while camping and hunting. A knife is not just a knife. Kioro Knives explains the difference between knives, how to store and keep them safe during traveling and more, here. A butcher knife is used if you plan on hunting and fishing, while a thin, long blade knife is ideal for cutting around bones in fish. Kioro Knives has some awesome looking knives for to handle any type of job you need. 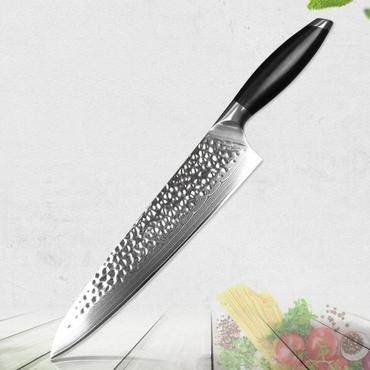 You can search their products by Knife Type, Knife Material or by Best Deals. They even have sets that you can purchase that compliment each other. Go check out what Kioro Knives has to offer! Some commercial sharpeners are durable also of course with the reputable branded name. Although there are different kinds of commercial electric knife sharpeners with various designs and warranties.